Conference Series llc Ltd warmly invites the Leaders, Researchers, Societies, Organizations, Students from the arena of AI, Robotics & IoT to join us for the 2nd International Conference on Artificial Intelligence, Robotics & Internet of Things 2019 (AI & IoT 2019) during July 15-16, 2019 at Amsterdam, Netherlands. AI & IoT 2019 will be a platform to Integrate & Motivate participants through Keynote Session, Paper Presentations, Exhibition, Workshop, Poster Presentation, Symposium, and Panel Discussion. The 2nd edition of the AI & IoT Conference will move forward with the theme: “Embracing the Future Together” as we believe we can build a team which will share the same vision. . Experts will share their research experiences and engage in many interactive discussions at the event, whereas learners will get a first-hand chance to discuss their vision with the eminent speaker. So, the AI & IoT 2019 will also act as a bridge between the learners and learning. The AI & IoT Conference in Amsterdam will be also be common platform to experience B2B Meetings, Panel Discussions, Q&A sessions, Industry expert interactions, Roundtable meetings, Best Poster awards, Best Oral presentation awards, Young Researcher Forums (YRF), e-Poster presentations, Video presentations by the experts from both Industry & Academic. So be a part of the team which shares the same vision and provides a prism of possibilities for the future. Join us in Amsterdam for AI & IoT 2019. The AI & IoT 2019 will serve as a hub for participants from all over the globe from various sectors with one vision. The participants will utilize the scope of extending their skills, work on basic and significant applications by attending the summit. 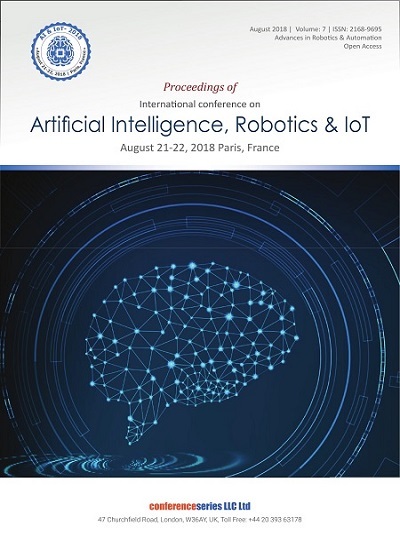 AI & IoT 2019 conference aims to brings together Experts, Leading Researchers, Scholars, Scientists, Professors from fields of Physics, Mechanical Engineering, Electrical Engineering, Aerospace Engineering, Computer Science and other related areas to interact and exchange thoughts about the state of the art technologies related to Artificial intelligence, Robotics & Internet-related things. The conference will also provide an insightful understanding of the issues arising out of the Artificial Intelligence, Automation, Robotics and the future concern and remedies from that. AI & IoT 2019 will provide an Opportunity to interact with Eminent Scientists, Researchers, Business Leaders, and Experts from all over the world. The little effort put by the AI & IoT conference 2019 will help in taking a giant step in the field of Artificial Intelligence, Robotics & Internet of Things. 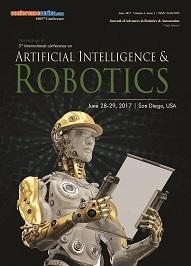 · Evaluate your current research and share your ideas with technical experts on AI, Robotics & IoT. · Time to Expand Our Definition of "Human Being"
· Will Robots Rule Finance? Artificial Intelligence (AI) begins with dreams. Human-like machines are referred to in many stories and are pictured in sculptures, paintings, and drawings. Starting from the time of ancient Greek philosopher Aristotle people dreamed of automation. We need to celebrate the vision of the dreamers which includes philosophers, Science Historian, writers, scientists, researchers etc. through discussion during this session. Natural Language Processing (NLP) comes under computer science, computational linguistics and artificial intelligence and is involved with the capability of a computer program to understand human languages. The steps which are associated in Natural Language Processing include Lexical Analysis, Syntactic Analysis, Semantic Analysis, Discourse Integration, Pragmatic Analysis, etc. Helping participants to understand how a computer can be utilized to perform a useful task using various human languages is the main motive of this session. Association for Computing Machinery (ACM), USA, British Automation and Robot Association (BARA), UK, Association Française pour l'Intelligence Artificielle, France, Canadian Artificial Intelligence, Canada, Japan Robot Association (JARA), Japan, International Federation of Robotics(IFR), Germany, ARC Centre of Excellence for Robotic Vision, Australia. Cutting-edge Artificial intelligence (AI), is the ability of a computer-controlled robot to accomplish tasks commonly associated with intelligent creatures. Combination of various systems is essential for a promising Artificial Intelligence. The pillars of contemporary Artificial Intelligence include computational intelligence, Neural Networks, Genetic Algorithms, Swarm Algorithms, and Fuzzy Logic. Cutting-edge Artificial Intelligence uses tools and data from the fields like computer science, psychology, philosophy, neuroscience, cognitive science, linguistics, operations research, economics, control theory etc. Various facets of modern Artificial Intelligence and issue associated with it will be discussed in the session. In this age of connectivity, Artificial Intelligence will play a vital role in changing the way we look into the world. Intelligent Automation & Artificial Intelligence can be used in various industries to enhance productivity and efficiency, reduce operational risks, and improve customer experiences. This plays a vital role in any industry’s next-generation innovation. In Intelligence Automation, we use software or hardware which has the ability to perform things automatically. This session helps to analyze the widespread integration of Automation and Artificial Intelligence and how it is helping the human lives. The future Artificial Intelligence (AI) has the potential to make over the world. Time since the Turing test was offered, computers have become so intelligent. Artificial Intelligence is fast becoming a major economic force. For sure it will be an integral part of the human life in the future. However, an important question remains is that what will happen if the pursuit for strong Artificial Intelligence succeeds and an AI system becomes better than humans. We need to discuss, prepare and prevent such potential outcomes of the future. Although the science of robotics only came about in the 20th century, for thousands of year’s man has been imagining intelligent mechanized systems which can perform human-like works. In the modern era, the term ‘robot’ has been introduced for the first time by Karel Capek in 1921. Today, one can visualize human-sized robots with the ability of near-human thoughts and works, which are being launched into space to complete the next stages of extra-terrestrial and extrasolar research. To move towards the future with robots we need to go through the entire journey and the process of creating the human invented automation system. 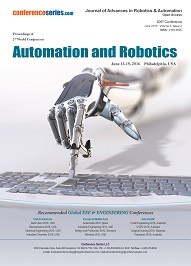 Recent technological developments in robotic design empowered the application of various control modalities for improved interactions with humans and free environments. The power, functionality, and ubiquity of computers and the Robots have outshined early predictions about technology’s degree of advancement and practicality in daily life. The ability of the human-like machines has been grown manifold in the recent times, so we need to take a look at progressive Robotics. Like the human being, robots are also an integration of many portions. All Robots consists of some mechanical, electrical mechanisms along with some computer programming. As more and more robots are designed for specific tasks, machinery is also designed likewise. Robots can be created in many ways, using all manner of resources, however, most robots share a great deal in common. 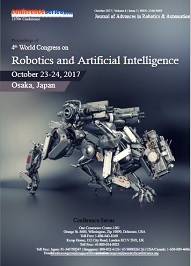 Researchers, students will analyze about the process of creation of robot and what is the future trend in this area during the various talks. We are now living in the era of smart machines & automation. Robots are playing an extensive and dynamic role in our routine life. It feels like science fiction is starting to become reality. Starting from home to the workplace they are now helping us in every sector. Robots are increasingly coming closer to us as smart technology allows people to control the functions of their home. As technology becomes more advanced, it's clear that the world is changing and there's a good prospect that robots will be functioning in ordinary people's homes within the next decade or so. Now as the robots and human-like machines are reaching everywhere, starting from our home to our work we need to look into the future with them only. However, the advancement in robotic technologies has raised some ethical question involving both human and machine. With the growing deployment of machines, the concern about the future path and magnitude has been increasing. We need to discuss the unsolved question before we embrace the future with robots. The Internet is among the few things which have revolutionized the world and communications like nothing before. The inception of the internet begins with the development of the computer. 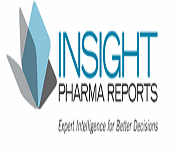 Foundation with the early research in packet switching, the government, industry, and researchers has been partners in evolving and implementing this new technology. The history of the Internet of Things is complex and involves many technological, organizational aspects. Its influence reaches throughout society. Before we look into the deep of the topics, we will discuss the basics of the Internet. The Internet of Things (IoT) refers to the networked interconnection of objects equipped with ubiquitous intelligence, or simply “smart objects”. Several endeavors have been made in the last decade to bring together standard modeling languages with generic simulation frameworks. The applications for internet connected devices are widespread. 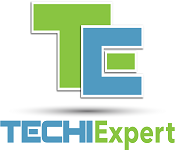 A growing number of Internet of Things (IoT) devices are designed for human use. This session will how the IoT has been now an inseparable part of our lifestyle and the issues and technologies related to it. Cities across the Globe are getting “smarter” every day owing to the implementation of Internet of Things (IoT). Cities are using low-cost sensors and Wi-Fi enabled smart services, smart waste management techniques for the city. As the Internet of Things continues to become more implanted in our daily lives, it can help improve the negative effects of urban migration we are facing today. This session will be very helpful for each and every one to understand the concept of a smart city and how IoT is connected to it. The process of globalization has turned the whole world into a global village where each and every one is interconnected and interdependent mainly due to the Internet of Things. To a large extent, the development of future generation will not be possible without the Internet of Things. The emergence of the IoT era brought new hope and promised a better future. The interconnection between the IoT and globalization will be the focus of the session. Surely the future will be much different from the present. Connecting everything through the Internet of Thingsdevices will radically change our world in ways we can ever imagine. Infect it will change the way we think, live and act. However, every change involves many questions which need to be addressed. Greater connectivity through the Internet of Things helps to provide new business and social opportunities but simultaneously demands more responsibility. As the risk is higher, the demand for qualified professionals is also high who can tackle the complex IoT situation.